Today everyone is demanding 3D technology in almost all the upcoming gadgets. iTV googles brings you a latest technology in the world of video glasses . It transforms completely into a 3D picture . Just like your personal 3D movie Theatre where no one will poke you . Price doesn't bother you when you will see its features . However it will cost you $599. Inbuilt with a jumbo sized virtual screen and hifi stereo sound which gives you a relaxation as it cuts noise reduction. 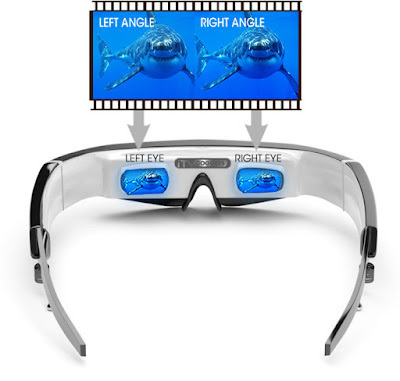 It consists of left and right eye lenses which experiences you a much bigger and clear picture with high resolution. Each eye has its own dedicated LCD display which provides you the real 3D effect while watching any 3D content. Transferring your digital movies and videos is quite easy with WideView 3D+ . The only thing you will have to do is to just drag the file and drop it. Its storage is also good enough for use . WideView 3D+ has 8GB inbuilt storage and also it has micro SD card expansion slot by which you can expand its memory by 40GB . Worry about supporting features ?? 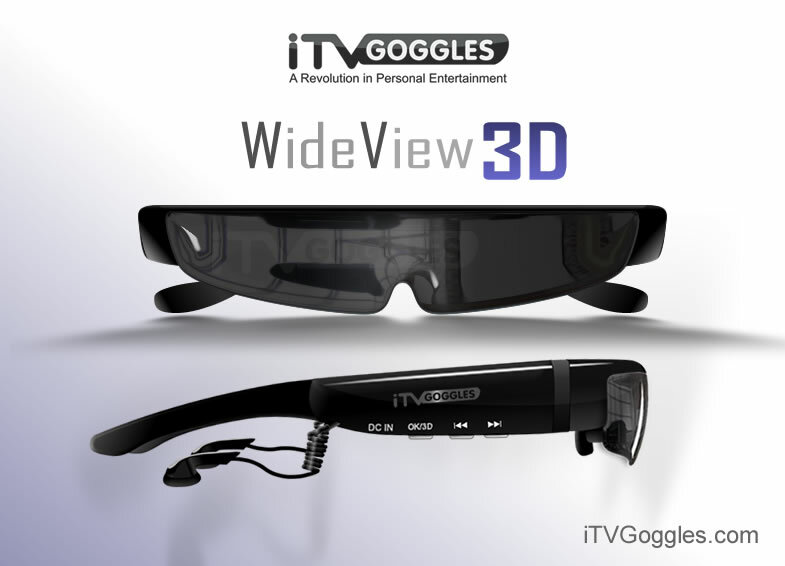 WideView 3D+ supports almost all the multimedia formats . The following are AVI , MP4 , FLV , MOV . MKV which can be viewed at 1080p-HD resolution. This Smartglass is very light . It just weight about 93gms . It has 3 buttons on each side of the black band which make it supereasy to use.